All day, every day, we exhale it like waste, too much of it will kill us, and it accumulates in the atmosphere causing climate change: carbon dioxide tops the list of the worst things ever. Or does it? Shaking off the dusty memories of middle school science class, we all probably remember hearing that “life is carbon-based.” We may not remember that the basis of life, carbon, comes from the carbon dioxide in the air. Life depends on carbon dioxide—in fact, our earth would be a lifeless, frozen wasteland without it. The bitter irony of climate change is that the same atmospheric gas that fosters life on earth now threatens ecological disruption and mass-extinction. Carbon dioxide both gives life and threatens to destroy it, changing incarnations like the Hindu goddess Kali depending on its source. It’s the source that matters: green carbon belongs; fossil carbon does not. Green carbon brings life; fossil carbon destroys it. Perceiving the difference is how we will save ourselves. Life depends on carbon because of carbon’s freewheeling promiscuity. Carbon will bond with almost anything, and needs very little energy to seal the deal. It sits in an atomic sweet spot on earth: the available energy on our planet perfectly suits the building and breaking of carbonic bonds, forming long, active chains and complex structures, and then dissolving them again. Over ninety percent of known compounds contain carbon, though it makes up less than 0.04% of the upper layers of the planet. Carbon gets around. Without carbon’s free love, life could not exist. Not only does carbon form the physical structures of life—the DNA, cells and tissues—carbon also stores and transfers the energy that keeps life going. An organism can use excess energy to build carbon molecules that will remain stable until it needs them. Since it takes energy to create those molecules, breaking them apart releases that energy again, providing a source of fuel for lean times. And on earth, most times are lean times. 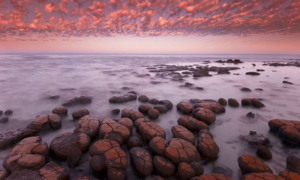 Stromatolite fossils, formed 3.7 billion years ago, show evidence of being the first organisms to use the sun for fuel. In earth’s early years, heat and chemical potential provided the only homegrown sources of energy for life. They offered fuel of a sort, but one of such limited scope that many organisms looked to the sky for evolutionary inspiration. Why scrabble around in the soupy chemistry of earth when the sun shone so brightly every day? Sunlight bombarded the planet with enormous amounts of electromagnetic radiation, offering a wealth of dependable energy, but one that remained just out of reach. It was too tricky to catch. After a billion years of evolution, a few organisms developed the first primitive means of turning photons into carbon molecules, but it took another billion-and-a-half years before they evolved to use water to catch sunlight. When photosynthetic organisms finally did find a way to break apart water and catch the sun around 2.5 billion-years-ago, life just exploded, changing the chemistry of the whole planet, and expelling free oxygen in such quantities that it nearly exterminated all previous life forms. With unusual dramatic flare, scientists call this the Great Oxygenation Event, the Oxygen Catastrophe, or even, the Oxygen Holocaust. Oxygen nearly ended life on earth. It flooded the planet to such a degree that it became freely available in the atmosphere, an extremely unusual occurrence for a planet, and one that dramatically improved the possibilities for the life that managed to survive. Since oxygen was hungry to bond, any free oxygen represented an enormous oversaturation of everything, everywhere, as well as a massive reservoir of chemical potential just waiting to be used. All that hungry oxygen, with all its buzzing potential, allowed complex multi-cellular organisms to develop, and life to colonize every inch of the globe. Photosynthetic organisms industriously turned sunlight into fuel, and predatory organisms industriously ate the photosynthesizers. Energy became available everywhere on earth, tucked away in the bodies of living creatures, and oxygen was the key to unlocking it. With oxygen’s help, predators broke apart the rich carbon molecules of their prey, harvesting the energy as fuel and re-purposing the carbon to build their own cells. Complex food chains developed, each organism dependent on the next, and all ultimately dependent on photosynthesis, carbon and solar energy. Even when an organism avoided being eaten and died naturally, nothing was wasted. Decomposing microbes devoured the organism’s body, harvesting the energy like a predator, but releasing most of the carbon back into the air. Liberated from living systems, the carbon was free to bond with the abundant oxygen to form carbon dioxide—one carbon and two oxygen atoms—ready for photosynthesis all over again. Carbon cycled through living creatures and the atmosphere, and living creatures evolved, changing the planet to match. The composition of the air and oceans changed. New kinds of carbon-rich rocks like limestone, marble and shale developed as the bodies of living creatures were buried. Thousands of new kinds of minerals were formed by the structures of life interacting with inorganic processes. The system continues today. Photosynthetic organisms, from the smallest microorganisms to the million-pound redwood trees and aspen groves of the American West, still build themselves cell by cell out of carbon dioxide gas and the energy of the sun. Life begins as air and sunlight, carbon dioxide and solar radiation, woven into sugars, starches and cellulose with water and trace minerals. A few small pockets of life continue to depend on heat and chemical potential for survival, like the first, inefficient organisms to colonize earth, but all other life depends on the energy captured by photosynthesis—including human beings. Our bodies are composed of the plants and animals we eat, ultimately assembled from carbon dioxide gas and the energy of the sun. We too are made of air and light. All this carbon is green carbon. It is natural. It is essential to life. It does not contribute to climate change. Green carbon belongs here, intimately tied to life and the climate of our planet. The carbon cycle has been circulating since long before humans existed and will continue to circulate long after humans are gone. When dinosaurs roamed, a similar carbon cycle moved carbon through their cells and back into the air—that was green carbon too. Green carbon has existed as long as life has existed, belonging as much to our planet as the rocks and trees. Green carbon was the only form of atmospheric carbon until the Industrial Revolution, and everything was gravy. But our industry and curiosity dug deep. We discovered volatile black fuel buried under the ground—fossil carbon. The earth changed dramatically as it aged, its evolution mirroring the evolution of life and the distribution of carbon. The planet, living creatures and the climate formed an intricate, evolving system. When the amount of carbon changed, the earth changed. Fossil carbon belonged to the carbon cycle hundreds of millions of years ago, just like green carbon does today. When plate tectonics and climatic conditions converged in just the right way, they created zones devoid of oxygen in isolated pockets around the planet. Animals and plants that died and collected in these pockets slipped out of the carbon cycle, fossilized, and changed the world completely. During the Great Oxygenation Event, nearly all organisms had evolved to use oxygen or had died out, but the ancient, oxygen-intolerant organisms of the past did not disappear all together. Some lived quite comfortably in hidden niches far from the hungry reach of oxygen. They thrived in swamps, in soils, and in the bowels of many animals—including, eventually, the human colon—and they lived in the ancient anoxic pockets that collected the dead and turned them into fossil carbon. When dead organisms sank beyond the reach of oxygen, normal decomposition ceased. Their bodies were at the mercy of the ancient microbes that attacked them without the benefit of oxygen’s chemical agency. Despite their best efforts, these ancient organisms left much of the energy and carbon intact, thickening into vast reservoirs of isolated, undigested dead. Thousands of years of sedimentation buried these reservoirs within the rocks, still packed with carbon and energy taken from the carbon cycle. Deep in the earth, heat and pressure worked on the dead organisms, extracting oxygen and turning their energetic carbon molecules into coal, oil and natural gas. Condensed, fossilized and volatile, this carbon looked nothing like the life that it had once been, but the building blocks of that life, its energy and carbon, remained intact. This was fossil carbon. Far more than just organic gunk, it was fuel. It burned beautifully when given the chance, and when humanity discovered it, we thought we had found inexhaustible source of power, catapulting us into the industrial age. By burning fossil carbon, we decomposed it as if it had never been hidden and preserved, as if we were only burning wood or grass, releasing it into the air as carbon dioxide. We voraciously accomplished the job that the ancient decomposing microbes were unable to do—using the energy of the dead and releasing their carbon into the air—but this time, their carbon did not belong in the earth’s complex carbon system. The system had changed. It took hundreds of millions of years for the carbon cycle to evolve without fossil carbon. It took mankind only one-hundred-fifty years—one five-hundred-millionth of the time—to release one third of it back into the air. Our carbon cycle simply cannot absorb all that fossil carbon. About half of fossil carbon emissions chemically alter our planet and fall out of circulation. The oceans absorb much of the fossil carbon we release, turning the seas ever more acidic (and making it harder for sea creatures to survive). The mountains and rocks weather slightly faster, absorbing a little more. The rest has nowhere to go. Trees cannot suddenly grow ten times larger. The bones of animals cannot grow ten times denser, nor can swamps become ten times deeper. There is no place for ten times as many animals or plants or people. Our planet is balanced and fossil carbon no longer belongs, so it sits in the atmosphere and changes the climate instead. Climate change is a problem of the source of carbon dioxide. Carbon dioxide from green-carbon sources is essential to life on earth. Carbon dioxide from fossil-carbon sources once belonged to an ancient, alien version of earth, and has no place in our living carbon cycle. Green carbon belongs; fossil carbon does not. The distinction between green carbon and fossil carbon gives us the clarity to stop climate change. The term green carbon is not new. It has been used in works like Green Carbon: The Role of Natural Forests in Carbon Storage from The Australian National University and in Green Carbon, Black Trade: Illegal Logging, Tax Fraud and Laundering in the World’s Tropical Forests from the United Nations Environmental Program and INTERPOL. The distinction has been made in a limited sense—to describe the carbon stored in trees, specifically—but its full potential has not been realized. The term green carbon offers an immediate way to know if a product, fuel or emission contributes to climate change. A symbol like the one at the head of this article can accompany anything from cotton to biofuels to paper bags to bioplastics. The choice to stop climate change can be as easy as looking for a symbol before we buy. The green carbon symbol identifies climate-friendly products. When we use a green-carbon product, it changes station within the carbon cycle, just as if it had died naturally, was eaten or burned in a forest fire. It does not leave the carbon cycle when people make it into something or use it as a fuel. The clothing woven from a cotton plant does not affect the climate any more than if the plant had died and decomposed in the field. The cotton is—and remains—green carbon. 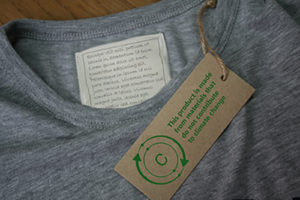 When hung next to a shirt made from synthetic polyester or some other fossil-carbon fabric, the green-carbon symbol immediately tells consumers they can choose a climate friendly alternative. Current terminology lacks clarity, losing focus in activism and environmental history. 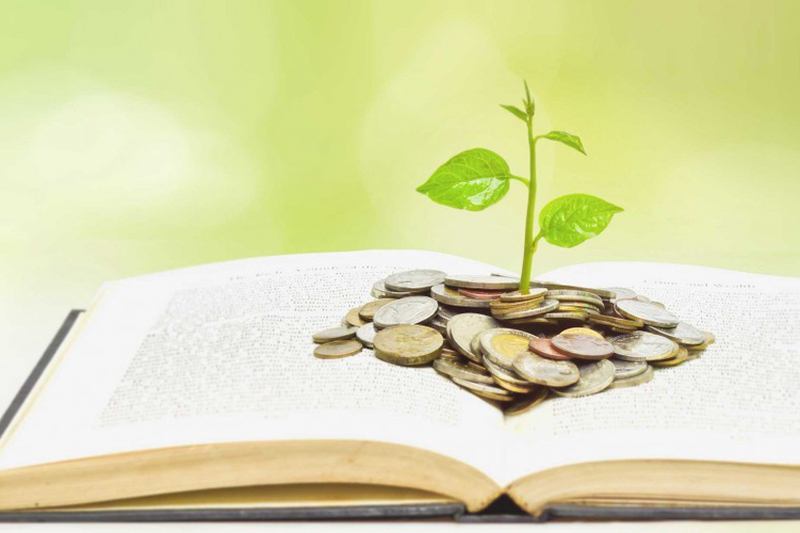 Terms like environmentally friendly or sustainable or green or even specific terms like biofuel have multiple meanings spanning multiple campaigns, and leave most of us at a loss for what exactly is at stake, never mind what we can do about it. Likewise, the term sustainable refers to the endurance of physical systems. It takes on the mantle of climate change because fossil fuels are a limited resource, detrimental to the earth’s climactic equilibrium, and therefore cannot be “sustainably” employed. Sustainability is a matter of input and output, balance or imbalance, so any system can be at once culturally, socioeconomically, environmentally or climatically sustainable. Not only is sustainability a multifaceted concept, true sustainability will always elude us. Change will always upset the balance, meaning that nothing can be permanently sustainable. With all this baggage, how can sustainability be the lever to topple climate change? The term green is even more ambiguous, meaning just about anything—as the ongoing greenwashing of businesses attests. 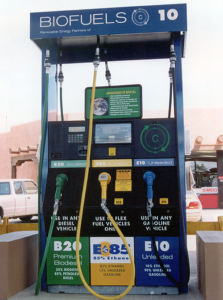 Even specific terms like biofuel, encompassing biodiesel and ethanol, remain obscure. The connection between biological fuel and climate change is hazy at best for non-scientists. Is the average consumer expected to know that ethanol is alcohol fermented from sugars, generated by plants from within to the carbon cycle, and therefore inoperative in climate change? The EPA does not even address carbon efficiency in its regulations and standards, how much more informed can a consumer be? The term green carbon points directly to the source of the changing climate. Fossilized carbon from an ancient version of life causes climate change, green carbon does not. Simple. 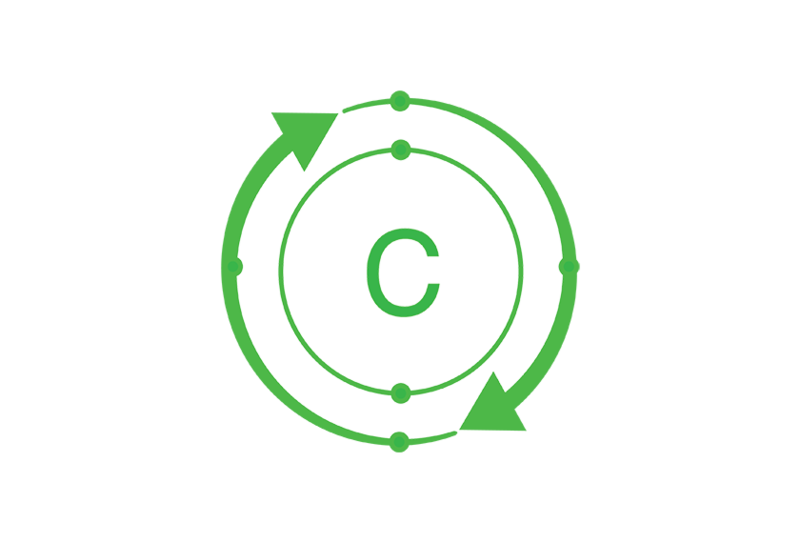 The green carbon symbol reveals the effect of your fuel. This simplicity immediately exposes many of our climate change solutions as inadequate, ambiguous or flat-out false. Our vehicle efficiency ratings are inaccurate. Our conclusions about agriculture are wrong. Our reliance on governments and multinationals is backward and demoralizing. The path for individual action becomes clear when our choices become clear. Each of us can do countless things to combat climate change, most of them effortless and inexpensive. The power truly lies in our hands. Choosing between products is only the beginning. Some might argue against the tenability of green carbon labeling, pointing out that there could be emissions hidden behind green-carbon products or fuels. 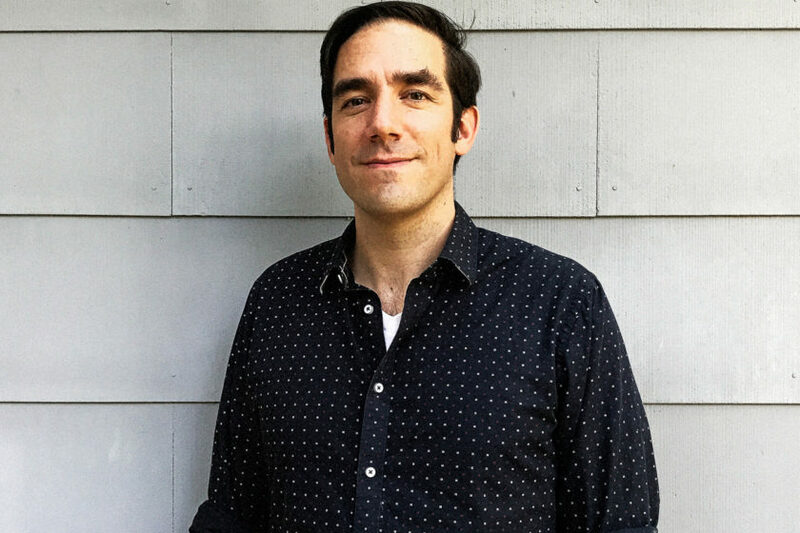 The machinery used to grow, process and deliver cotton, for instance, could release massive amounts of fossil carbon hidden behind a green-carbon label. Two responses mitigate this concern: first, awareness of the source of climate change far outweighs any concern over hidden emissions. Current climate change solutions rely on governments and multinationals to willingly undergo massive changes costing billions of dollars. Not only are these enormous entities reluctant, their enormous shadow leaves most people in the dark, feeling powerless. An active solution starts with the individual, and individual empowerment, not with convincing reticent organizations to spend money. The organizations will follow once the people lead the way. We are stronger than we think. We, too, depend on our environment. We assume that the carbon cycle is hardy. We assume that it hungers for carbon, functioning irrepressibly down to the smallest microorganism. Ok, maybe we don’t assume that explicitly, but when a farmer harvests a field, she rests assured that new plants will grow to replace whatever was harvested, whether she takes an active hand or not. Weeds are weeds, they will grow. We assume that, on whole, the complex system of carbon cycling through life, earth and climate will continue to function. But, the simplicity of green carbon reveals the limits of this assumption. Reabsorption of green carbon is not a given. Deforestation and soil depletion devastate the carbon cycle and harm the basic functioning of our world. Trees are the largest living organisms on the planet, growing for hundreds of years and representing massive green-carbon reservoirs. Forests create their own microclimates and weather patterns, and their destruction often renders the ground unfit for future forests. In only the last hundred years, industrial society has destroyed half the world’s forests. Overgrazing and intensive agriculture have had a similar effect on other ecosystems. Many ecosystems cannot grow back, stranding the carbon they once stored in living things as carbon dioxide in the atmosphere. What was once green carbon falls out of the carbon cycle entirely. The planet has a limit, a carbon budget, that can diminish if we destroy the planet’s living systems. No matter how far away, when we clear cut forests and decimate ecosystems, we destroy the carbon cycle in our own back yard, and increase climate change. Green-carbon highlights this process, and gives environmental protection an urgency it lacked. We need to protect our forests and ecosystems out of more than a sense of compassion and righteousness. We need our forests and ecosystems to power the carbon cycle to which we belong. Environmentalism is the fight for the survival of the human species too. Let’s join that fight together. 1. ↑ Of course, not all life breathed air or had intimate dealings with carbon dioxide. The atmosphere of the earth, however, acted like a planetary bloodstream: circulating gasses, dispersing excesses and depletions, and maintaining chemical equilibrium. Carbon dioxide was chemically balanced across the entire planet. Life in the oceans and soils depended on far different sources of carbon to build their structures, but all parts of the planet formed a closed system. Even deep underground and far below the surface of the sea, carbon dioxide in the atmosphere chemically equilibrated with dissolved carbon compounds, ensuring that organisms had access to carbon. Sea creatures and soil fungi depended on carbon dioxide just as much as birds and beasts. 2. ↑ The climate has changed continually over the history of the earth, many times involving a corresponding burial of fossil carbon in anoxic zones. It is too easy to point to the disappearance of carbon as the deciding factor. A rigorous understanding needs rigorous evidence, and the climate of our planet is a wickedly complicated system. It involves everything from the changing output of the sun to the tilt of the earth’s axis to the organization of the tectonic plates and the circulation of the oceans. We do not know everything, but we do know many things. We know: Fossil carbon used to be living creatures. Dramatic changes in the earth’s temperature involve dramatic changes in the amount of carbon dioxide in the air. More carbon dioxide corresponds to hotter temperatures. We also know, contrary to many exuberant attempts at science fiction, that a trip in a time machine to the age of the dinosaurs holds more danger than being chased by lizards. The ancient earth was as strange and hostile a place as any alien planet. Popping open the hatch of your time machine would almost certainly cause your immediate death from the air alone. Many things had to evolve to form the planet we know, foremost among them, the composition of the atmosphere. I had no idea there were different kinds of carbon. Thanks so much for the info!